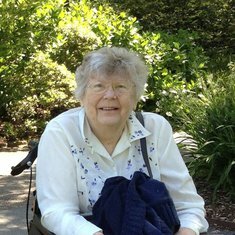 In loving memory of Frances Mary Penney (nee Rodway) who sadly passed away on 7th November 2015 at the Magna Care Centre. Frances was born in Wimborne in 1930. She has a sister, Beryl, and a brother, Christopher. She married Roy in 1955 and they have six children, Margaret, Andrew, Peter, Susan, Paula and Stephen. Sadly Stephen died in a motor bike accident in 1994. They have nine grandchildren. Frances and Roy have always had a very strong Christian faith and were very active in Christian service in a number of ways. This faith gives us the assurance that she is now in the presence of Christ, her Lord and Saviour. The committal at Poole crematorium at 1pm on 23rd November will be very simple and everyone is welcome to attend. We wish to celebrate Frances's life at the church service which will follow at 2:30. This will be held at Moordown Baptist Church, The Avenue, Moordown, Bournemouth. Everyone is very welcome to join us at this service. Dorothy and Tony have very fond memories of Roy and Frances. Frances was my Girls Brigade Lieutenant which was started in March 1963 at Wimborne Baptist Church. Frances spent many many hours sewing, making our uniforms, which looked good and lasted us years. We were always made very welcome into the family and joined them on many New Years Day's enjoying fun and games with everyone in their home.. Frances also mentioned about - when was I going to be Baptised several times - and eventually I did. She also had a mention as to when Tony and I were to get married, which happened in October 1974. So we have quite a few memories of her and what her thoughts were. We also joined them on a Sunday for lunch and went to Wimborne Hospital to sing to the patients there, on behalf of the Torch Trust, and then go down to Streets Meadow. Frances was a very kind and thoughtful lady and we will miss her very much. 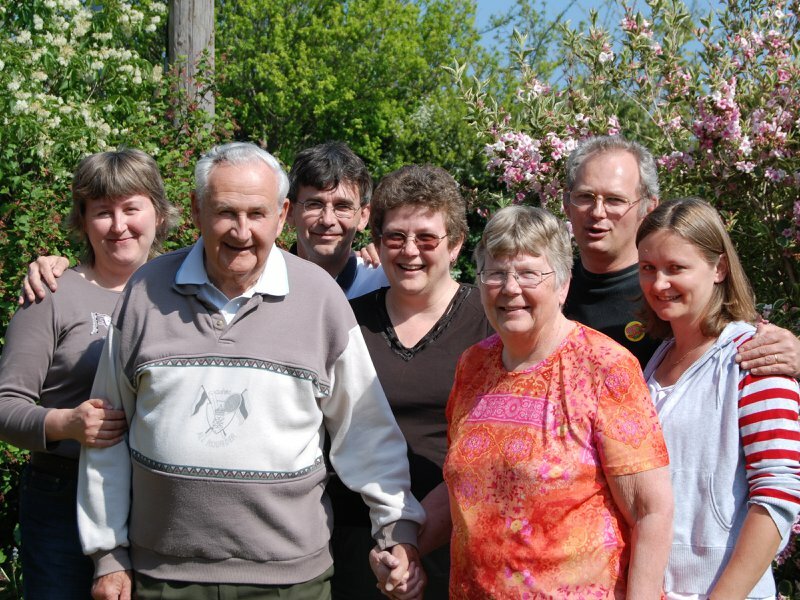 Then in 2009 we had a Youth Fellowship reunion when both Frances and Roy joined us and met a lot of the old youth. Thank you Dot. it's good to be reminded of these events. Thanks Dot for reminding us of Mum's tenacity when something was important in her mind - your getting baptised being an example! I was too young to remember Mum's involvement in Girl's Brigade - I think by the time I was old enough to recall events she no longer took such an active role. Her sewing skills are legendary, though, and I was very grateful when she made my wedding dress. I know she was important to people outside of the family, and it is good to see the evidence of that here. Thank you for taking the time to write this. Roy and Frances at the Youth Reunion April 2009 at Pamphill. 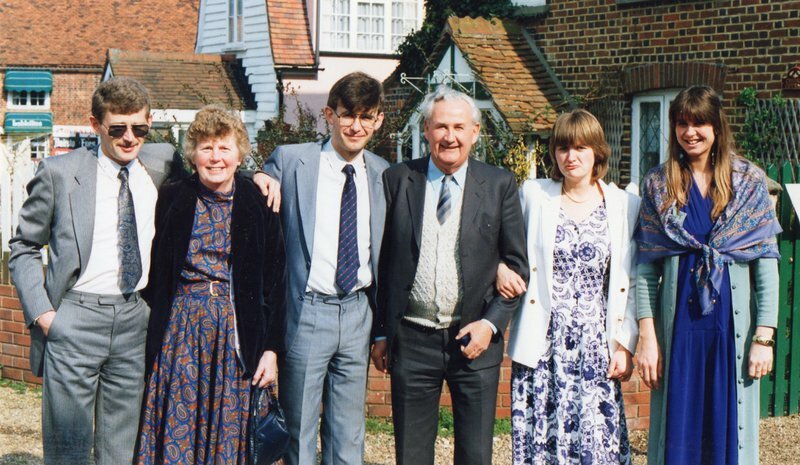 It was in the autumn of 1981, the day of Jon's dedication, in our house in Mantilla Road. Thanks to all of you who shared yesterday with us as a family, and for those of you who have sent cards, posted messages and or given contributions to Autism Hampshire. As requested by a number of you I have now posted below the reflective poem I prepared on behalf of both myself and my siblings, and which I read at yesterday's funeral and celebration for mum. 85 since day of birth. But fell to you food to prepare. To support our family plans. Too much for some to face! We’re sure they came again?! We’re sure he’ll meet you there. My childhood memories of Frankie (Frances) are rather distant now! 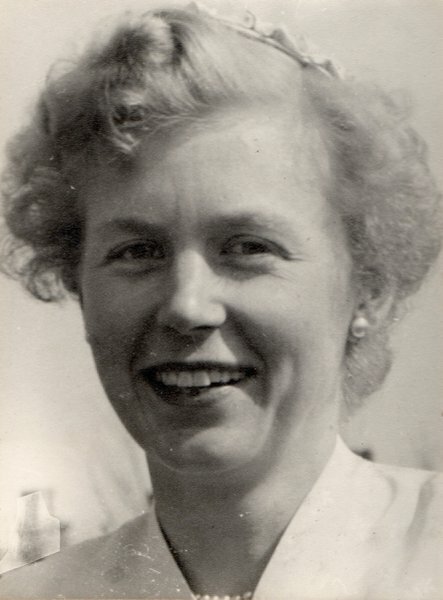 She was 3 years 11months older than me, and very occasionally had the dubious responsibility of looking after me and Christopher, our younger brother when our parents had to both be out. This she did not find very easy! Our childhood years spanned World War Two, with, of course no TV or radio -- the wireless was a permanent fixture in the front room where we were not allowed to go very often. There were no activities for children outside the home, it was too dangerous I presume; so we entertained ourselves. One activity was to play Monopoly with 12 finger-sized dolls that Frankie had knitted (her knitting ability started early.) We also put on dance and poetry shows on top of the Morrison shelter in our living room, to our Mother and anyone else who might have been around. Frankie, of course, was the Producer and Director! In her teens, she was displayed as Britannia on top of one of our Dad's vehicles in a parade in Wimborne. Later, when she was living in London training to be a physiotherapist, she invited me for a weekend to her digs, and we went to see Oklahoma. We really enjoyed that. I think she gave her life to Jesus in her early twenties. I remember sitting in her room at home in Sandbanks and chatting together about Jesus and how we needed to trust Him and follow Him. 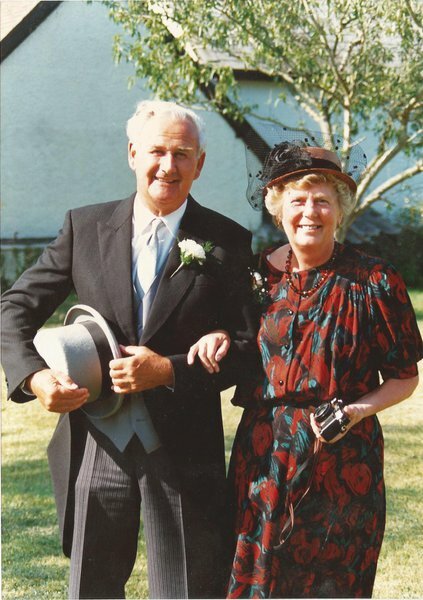 As we both left home our lives followed different paths through marriage and families, even when my children and I returned to Wimborne following my husband's sudden death. 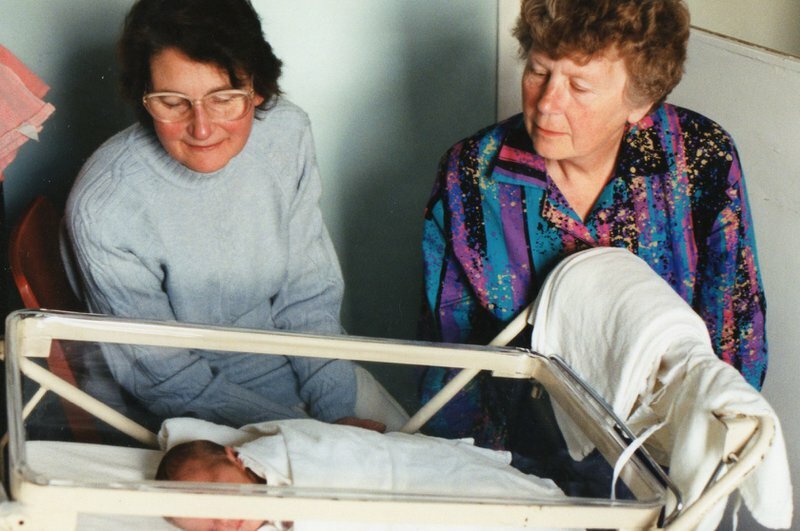 She cared for both her mother-in-law and her mother at the family home towards the end of their lives, which she did lovingly and with dedication. It has only been in her latter years that I have visited her more regularly as she became unable to get out. But I have to confess that even in her final fortnight she was still my big sister, giving me advice! Nevertheless, we were able to share some psalms together and enjoyed doing that. We have a great God. I cheekily wondered whether she would be having a birthday party in Heaven, having missed out on one here by a week! I thank God for having a sister with whom I could share Jesus. Praise be to Him. What to say? How could I sum up my memories of Granny in words? 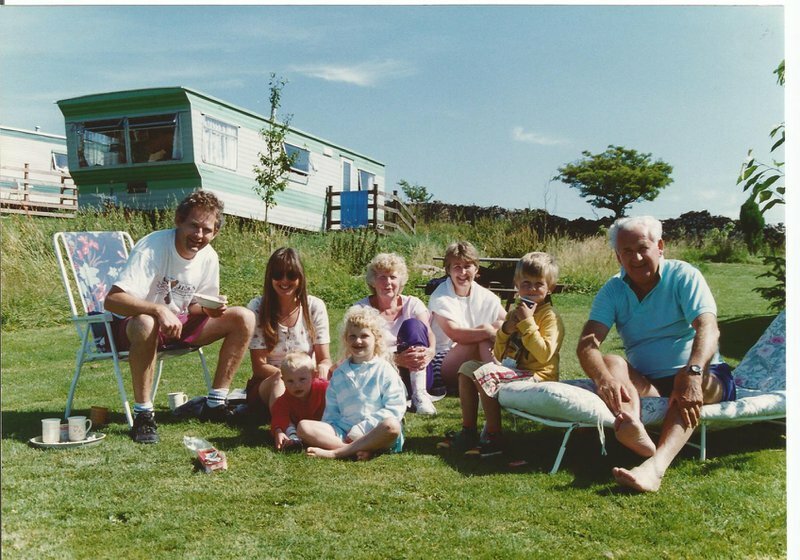 I think back to my earliest memories of Granny and I think about holidays in Wimbourne, playing in Granny and Grampy's flat or showing them what I had built on the beach at Sandbanks. Granny was always a constant presence, always calm and in control. She was always loving toward her family, particularly her grandchildren. As I have grown up, this has been such a support to me and my brother Josh, whose autism was never judged by her but instead, he was embraced as any of her other grandchildren. I know that she prayed for me and Josh everyday, something that I will always be grateful for. I know Granny is with her Saviour now and I'm so happy that she has that assurance forever more. I just hope they have a good supply of crosswords in Heaven for you Granny. It's so hard to know where to begin when thinking of how best to pay tribute to Granny. Second only to my parents, Granny is the person who has probably done the most for me throughout my life. Having lived under the same roof as my grandparents from the age of 6, she was a constant presence in the home. Always helping out when Mum & Dad were working, making us clothes, walking us to and from school, giving me regular physio on my back - the list goes on and on. Nothing was ever too much trouble. As a child, you rarely appreciate these practical things and tend to take them for granted. 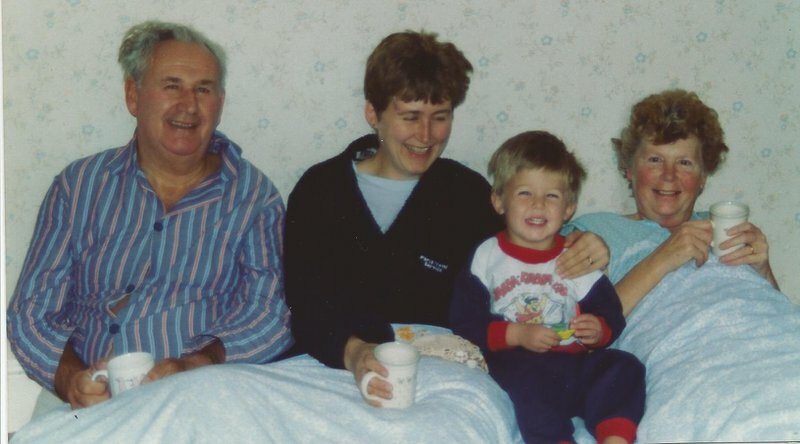 Granny may not have always been the 'cuddly' grandparent, but I am so so grateful for every ounce of love, care and attention that was shown to me in her way. We regret that we cannot be in England for her funeral, but our prayers are with the family at this difficult yet hope filled time. We are consistently grateful for her years of service as a mother, a grandmother and most importantly as a faithful woman of God which is a legacy which is still with our family today. For as long as I can remember the 'granny flat' at the back of 61 Poole Road has been a great place to visit. Originally to escape bedtime by watching snooker with Gran-Gran, more recently to go and see Granny and Grampy. There was always a warm welcome, a very warm lounge, the offer of tea, a genuine interest in how you were and what you had been doing, they would without fail stop whatever they were doing to make time for you. Family really was the most important thing to them. 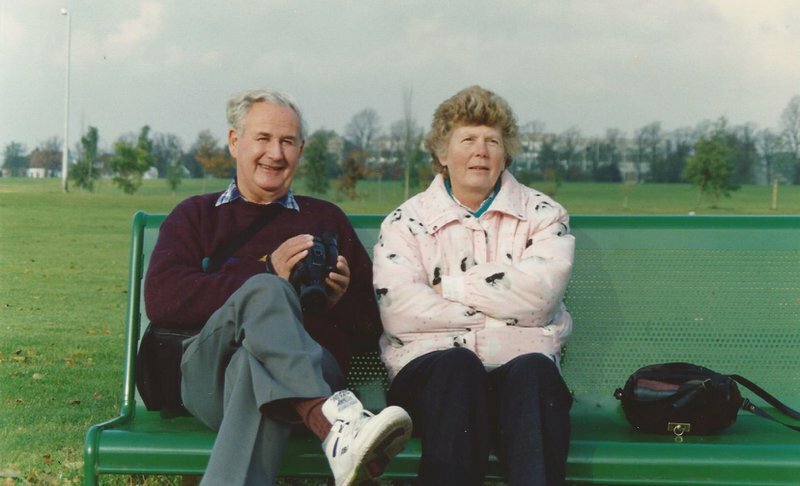 When I was younger it was always Grampy who would make me laugh, but in more recent times it has been just as much Granny who has had the glint of humour in her eye, even during what must have been difficult years she kept her ability to share a joke and crack a few of her own. 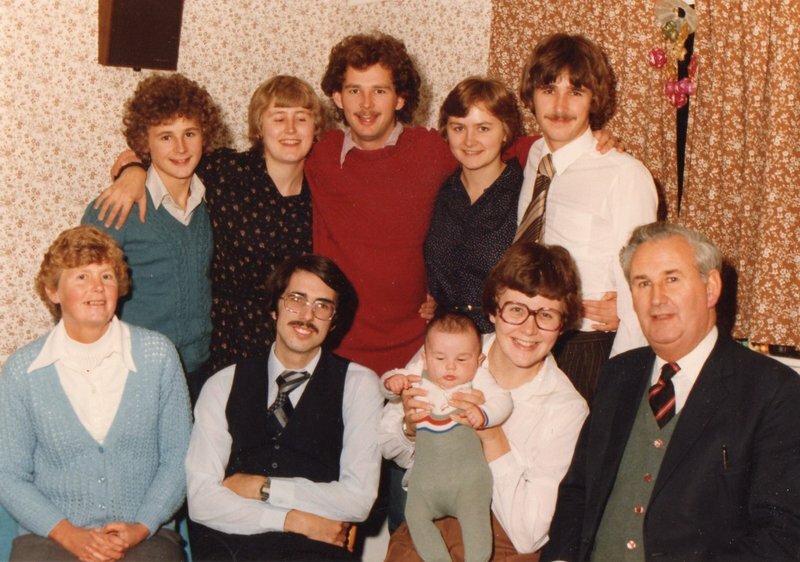 Happy memories of our family get togethers over the years with Uncle Roy and Auntie Frances and all our cousins. Our sincere condolences to Uncle Roy and all the Penney family. Those memories are also cherished by us, Penny and Graham. 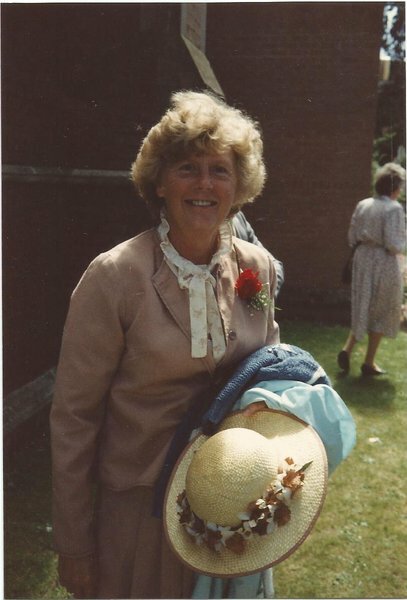 I know Mum's funeral will have been difficult for you with your own loss so recent, and which Mum was able to acknowledge not long before she died. Thank you for joining us as we said goodbye to Mum. Frances and Roy always made me feel so welcome during my weekly visits. Although I was there to do housework, the visit invariably began with a cuppa and a chat which Frances valued more than the housework. She appreciated the company for her and Roy and enjoyed exchanging stories of past and present. It was, in fact, my most favourite job of the week! 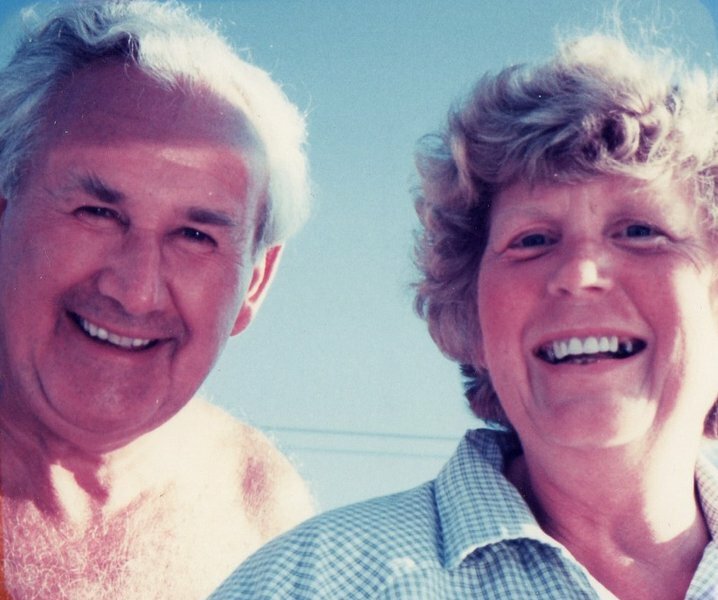 The thing I remember most about Frances was her absolute devotion to her dear husband Roy. He would love to reminisce about the past and would take me down the same memory lane every week. Frances response to this was very clever. Each time she would add a new memory or something interesting to keep the conversation to fresh. I really did see this as a very creative and protective way of enabling Roy's continued social interaction and admired her greatly for it. Later, when she ran out of stories or no longer had the energy for them, her sideways glance told me "Thank you for listening, thank you for your patience", and I would go off down that lane with Roy as if it was the first time ever. Thank you Frances for your friendship and company. When I became a Christian in 1982 I joined God's family and mum and dad Penney were like my surrogate parents in christ. I will always love them for that and look forward to being reunited with them in heaven. Hannah & I have so many precious memories of both Frances's & Roy at the home group that met at our home, the look of resignation on Frances's face as Roy related another yarn of his golfing colleagues. Plus her perception and understanding of some of the more difficult passages that we looked at together. We knew when the passage was going to be difficult because Frances's would come stocked with home made cakes or biscuits. To say nothing about the celebration of the Queens jubilee during one of our Church holidays. Frances's passing on a polo mint to the Pastor via the matchsticks in their mouths during one of the games. Our thoughts are with all the family at this time. My abiding memory of Frances will always be one relating to a Tuesday night Prayer Meeting at MBC. I'd been converted the week before, and it was the first prayer meeting I'd been to. It was announced, early in the meeting, that I'd been saved, and Roy and Frances were sitting over to the side, where I could see their faces. Early on in the meeting we sang 'Dear Saviour though art mine', I'll never forgot the looks of joy on their faces, and the tears rolling down Frances' cheeks as they sang 'mine, mine, mine, I know thou art mine', and I'll never forget the joy with which both Frances and Roy gave thanks during the Prayer time. It moved me so much to see how much they cared, and it still moves me to think of today. Now, 16 years on, I've seen that scene many times. They hurried over to me at the end of the meeting, displaying those smiles that are shown on many of the pictures here. That's who Frances was, and it's who they were as a couple. Mum: head in a book or knitting in her hand be it on the beach, watching TV, curled up in front of the front room fire and sometimes both at the same time. Mum: usually in the background and then coming to life in social situations where someone needed support. Working in the workshop office in her father’s garage, mum knew customers by their registration and address and was involved in the lives of the mechanics encouraging and supporting them. Dad’s car was always looked after, once the garage was sold, by Phil a Rodway’s mechanic who set up his own business. Mum: on Christmas day and Good Friday getting loads and loads of coffee and tea made ready for the open house after the joint morning service - yes waiting to open presents until after the “guests!” had gone, dinner eaten and washing up finished. Mum: having to defer to dad when on Sunday mornings he would decide that the house needed a major tidy-up and then accepting his generosity in inviting visitors to dinner. Mum: the word-smith enjoying the challenge of crosswords, scrabble, puzzlers etc. If she had been born in the computer age online scrabble would have suited her perfectly, whilst knitting or reading of course. Mum: the caring mum, mother-in-law & granny. She had really warm memories of gardening with Beth when she stayed for over 6 weeks around Joel’s birth. 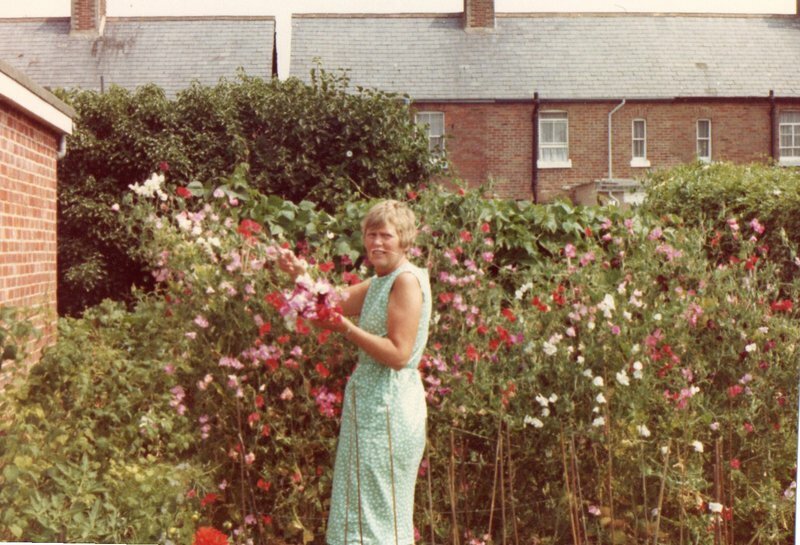 Mum talking fondly of the looking for worms in the vegetable plot and Beth enjoying them wriggling around in her hands then putting them in her bucket; we will always have that with us. 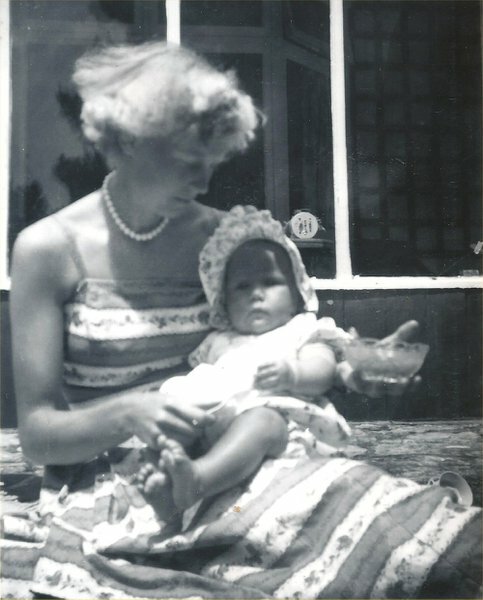 Mum: Holding the hand of a respite resident, the lady was only there for two weeks, to gently and quietly comfort her. Not focusing on her own physical needs. Often she would thank us for taking dad out as she was not able to come. On one of these occasions she was sitting up in bed reading a book and responded to the question “Do you need anything?” “I am comfortable, thank you”. She was being totally honest, her face mirrored the words, and for that I am truly thankful to the people who cared at the Magna. How often we take people for granted until they die and then we stop and reflect on what they mean to us. I recently attended a church service in Seattle where the message focused on the difference between the roles of men and women in marriage based on the book of Genesis. 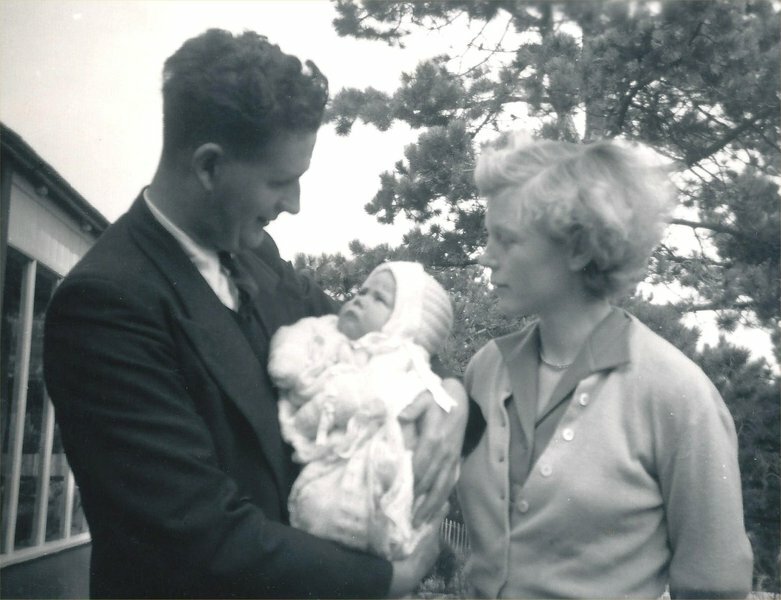 It struck me that Mum was predominantly a helper to Dad and her family and mostly put everyone else's needs before her own. I am amazed that she coped with having 6 children within 8.5 years and still managed to do decorating and make clothes amongst many other things - this took its toll on her body in later years when her mobility and energy levels let her down and she became increasingly weary. She encouraged us to learn musical instruments and this has been influential in many of our lives in one way or another - thanks Mum! She was always generous when she had the means and I remember her always welcoming our friends. I echo Pauls Barnes' comments about Mum's increasing levels of affection in recent years as our relationships changed and enjoyed spending time with Mum and Dad, sitting, chatting, knitting and doing the Daily Telegraph quick crossword - you could always rely on Mum to come up with obscure answers and chuckles when the answers were really easy when we waited on Dad to see if he could come up with the answer. I am grateful that Mum showed love and acceptance to Richard and James and was able to meet my American daughter-in-law, Kayleigh. 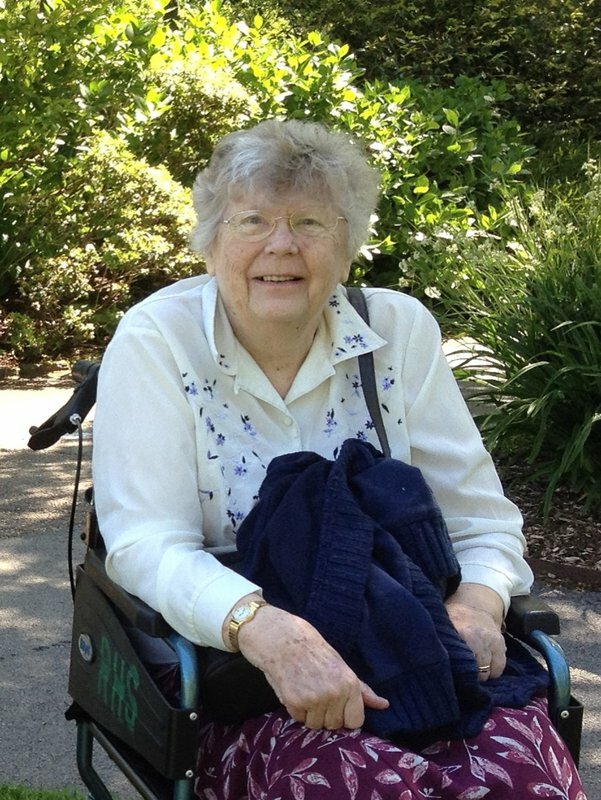 My most recent memory, which I will cherish, is 2 weeks before Mum died. She was really weary following a failed attempt at a cystoscopy in the morning. 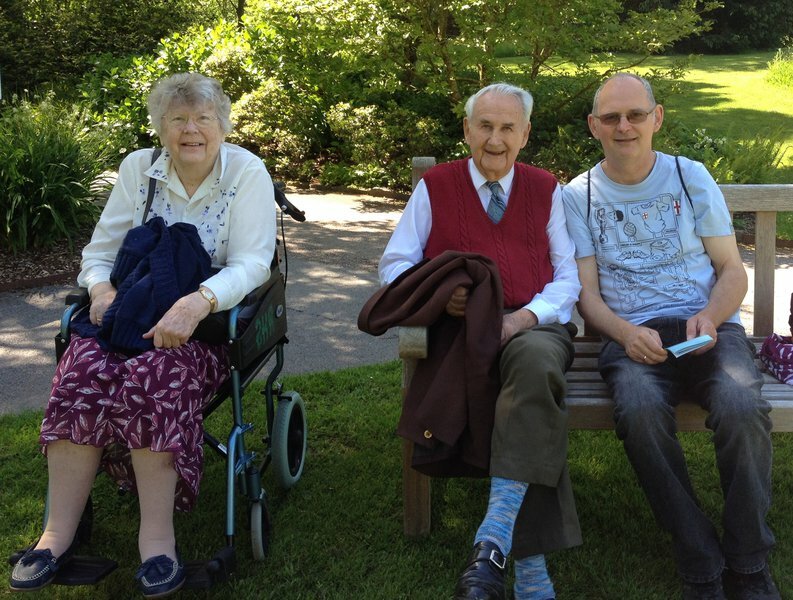 Just before I left the Magna Care Home I took Dad in to see Mum. Dad sat and held Mum's hand and she drew his hand to her and kissed it and Dad did the same. Proverbs 3 says 'Let love and faithfulness never leave you' - after 60 years of marriage they are a great example of Christian marriage. She asked me about my pending trip to see my son and his family in Seattle and said she looked forward to hearing about it on our return. She showed interest in a photo of my grandson and granddaughter on my phone, despite apparent recent disinterest in photos, which heartened me. I read Psalm 23 and prayed, thanking God for them both, and then Dad tried to pray but could not find the words. Mum helped him by giving him the works to say - his helper unto the end! I love you Mum and so pleased that your suffering has ended and that you are now forever with the Lord in Glory and are with those who have gone before! Didn't she look young - and don't I look suspicious?